"My Message to Elvis": i love you soooooo much and could i please spend a day with you. : his mother cause when she died he was so lost and confused. : hmmm dont really know he's just a wonderful singer that will allways touch peopls hearts. : no, cause i think you have done a brillant job! Wow, a young fan, it`s fantastic to hear from you and you`re an Aussie, too. Thank you for your comments on our survey. Elvis touched many with his music, looks, generosity, talent and personality. He loved his fans. Elvis has left us all with warm caring sincere memories; his lyrics were with deep meaning. 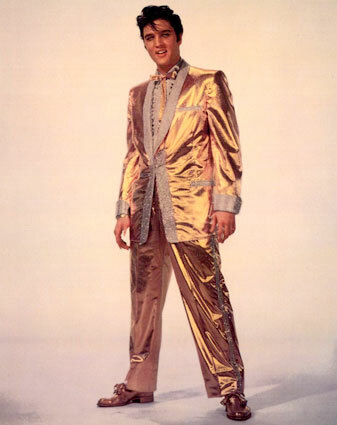 Elvis Presley is an inspiration to us all, long live our legend. Recorded 104 singles that hit the Top 40 of the Billboard pop chart. Had 18 number 1 Billboard hits, including four singles in 1956 that occupied the top of the charts for a cumulative total of 25 weeks. The total (18) is surpassed only by The Beatles, who had 20 number 1 hits. From March 1956 to November 1959, every week there was at least one Elvis song on the singles chart. Also, on the official United Kingdom Top 40 chart, "One Night With You" reached number one in the week of Sunday, January 16, 2005, 27 years after Presley's death.